LOCATION: Located in the highly desirable East Camarillo area of Mission Oaks, this restaurant is situated in a prime location with large patio dining with nice views and facing east in the afternoon shade. The interior has 2,212 Sq. Ft. inside. 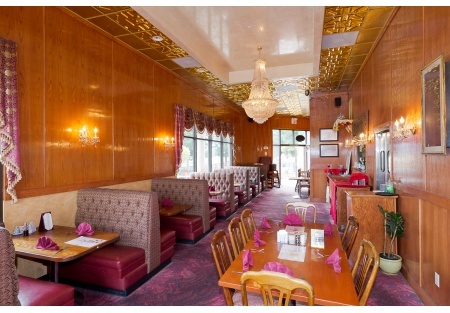 The restaurant is immaculately and elegantly finished containing Oak paneled walls, copper ceilings and custom high quality cloth seating and booths offset with beautiful chandeliers, and much more. A Sushi bar was recently added to the menu as was many online delivery services to boost sales, and it is working! THE NUMBERS: The Annualized 2017 Revenue was nearly $808,000 with an adjusted net income of $155,000 and 2018 is looking even better according to the owner. GROWTH OPPORTUNITY: There are 100+ luxury condos being build within 100 Feet of this restaurant and slated to be finished and selling by the end of the year! This will surely send more business to this restaurant. KITCHEN: The kitchen is designed to be an efficient use of the space. It is fully equipped and includes a 2 fryer machines, 8 burner stove with two ovens, flat iron grill and a double wok stove. HISTORY: The owner started this restaurant in 2006 and sold it to an employee. The employee then sold back to the owner in 2017. He's turned the business around with solid restaurant entrepreneurship. His hard work becomes your money maker. LEASE: Landlord will negotiate a new lease with buyer. SBA LOAN: Since the current owner doesn't have enough years of operations on tax returns, this business DOESN'T qualify for an SBA loan. Please visit our website a SellingRestaurants.com for more information. Friday & Saturday 10am - 11:30 pm.